It’s finally hear. The long awaited book written by Tanner Turley on the topic of the preaching and homiletic of Octavius Winslow is finally available to everyone. It’s called Heart to Heart: Octavius Winslow’s Experimental Preaching. Tanner originally prepared this as a dissertation while at seminary at Wake Forset, North Carolina. Now, here it is…the only book written solely on the topic of Winslow himself. To help celebrate its publication, Reformation Heritage Books has been gracious enough to donate 3 copies to give away absolutely free. From today until Friday, March 28 you will have a chance to enter and win a copy of your very own. To win, simply head over to our Octavius Winslow Facebook fanpage and “like” us if you have not already. Then, share the post with your friends on Facebook and leave a comment there in the comment section. On Saturday the 29th I will pick 3 random winners. If the chosen winner does not respond in 4 days time, a runner up will be chosen. If you do not have a Facebook account, then just leave a comment here on this blog post. 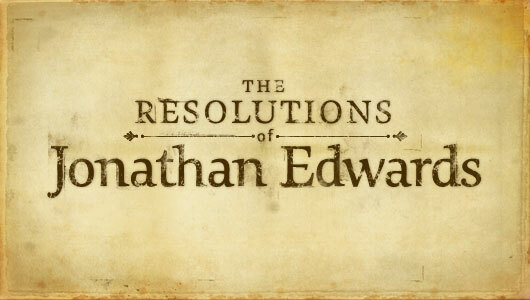 Today is the day I announce the 2 winners of last weeks 70 Resolutions Poster Giveaway from theresolutionposter.com. Many thanks to Jacob Abshire for heading this giveaway and allowing the readers of this blog to have a shot at winning one! If you would like to purchase one of the posters, please stop by the website and while you are at it, stop in and follow the The Resolved Poster on Twitter here. I will be contacting you shortly. If you do not get back to me in 72 hours, a runner up will be chosen.